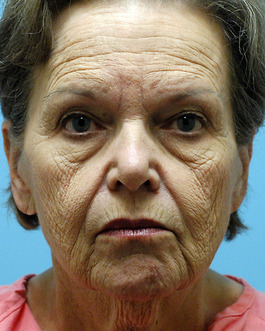 This 69-year-old from North Carolina lost a very large amount of weight. 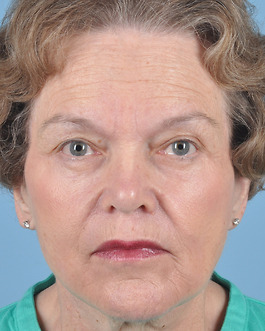 This weight loss, although very healthy, did accelerate all three aspects of aging of the face: sagging, wrinkling, and gaunting or "sinking in". 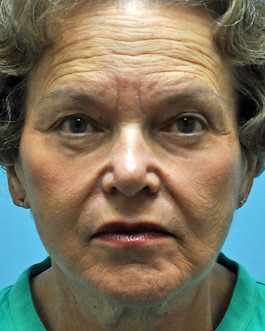 She decided to address all three with her facial rejuvenation. 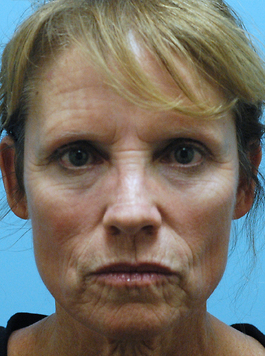 Her facelift addressed the sagging but just as important, fat grafting filled the many areas of hollow. 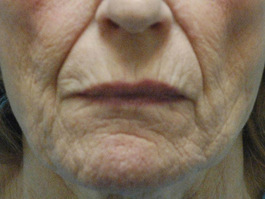 A large amount of fat grafting was done but in a meticulous and precise manner. Fine instruments are used, often injecting fractions of a milliliter. The result is extremely natural. 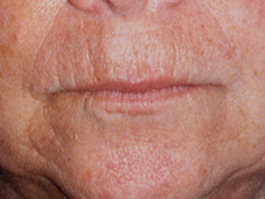 With careful planning and precision technique, quite dramatic changes can be brought about and still leave an extremely natural appearance. 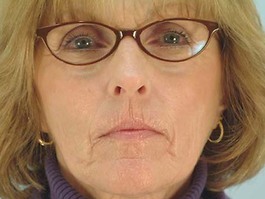 Finally, laser resurfacing addressed the third aspect of her aging, wrinkling around the eyes and mouth. 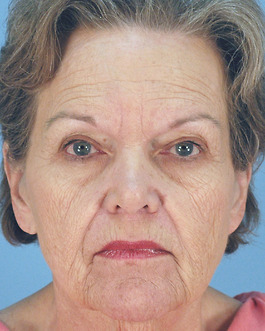 She chose to rejuvenate her aging lower lids at the same time as her facelift and recover at the same time. Bulging fat was removed with some skin. 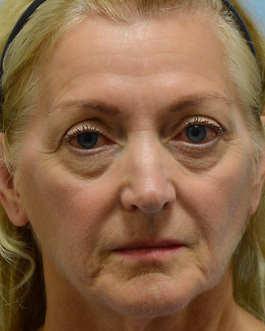 Lower eyelid lift results have greatly improved with the addition of fat grafting, as it fills the hollow and further reduces dark circles beneath the eyes. 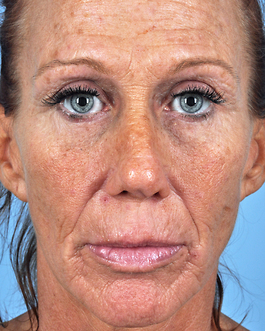 She is also Case 66 in the Face Lift photo gallery, where you can view her complete facelift results. 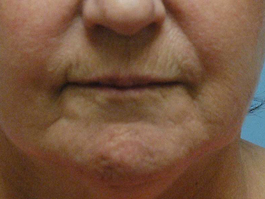 The results from the fat grafting and the laser skin resurfacing can be seen most clearly in the photos labeled "without flash". When we do not use a flash to take a picture, facial shadows are more prominent, making it easier to see the change in the 3-dimensional contours of her face. After her recovery, she was thrilled to share a story with Dr. Hubbard and his staff about going to renew her driver’s license. They questioned why she was renewing because she couldn’t possibly be 70 years old. That just made her day.